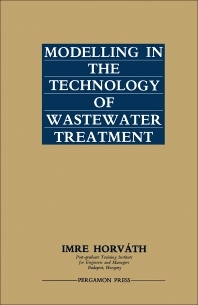 Modeling in the Technology of Wastewater Treatment discusses the application of scale-up methods, similarity theory approaches, and dimensional analysis to problems of wastewater treatment. The book first introduces the formulation of the problems, and then proceeds to reviewing literatures that tackle the subject matter. In the third chapter, the text discusses the applications of similitude in activated sludge system. The text then details the concept of economic similarity. The book will be of great use to scientists, engineers, and technicians involved in water sanitation process.